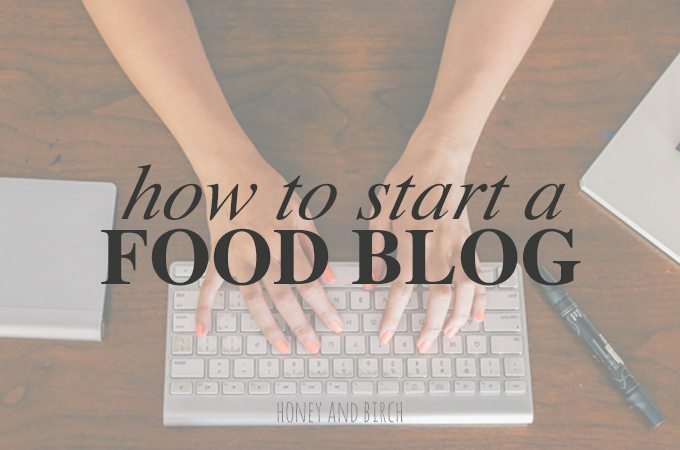 You’re thinking about starting a blog? That’s great news!! I truly think there aren’t enough in the world. Maybe you want to share your collection of eastern European recipes, your unique furniture restoration techniques, or your amazing crafty abilities. You have the blogging bug, you can write and you are EXCITED. I’m excited for you. Disclaimer: This page contains affiliate links. If you purchase something through my links, I may receive a small commission at no extra charge to you. First things first, you need to choose a blogging platform. There are a lot of options out there, but the most popular options are Blogger, WordPress (.com or .org), Tumblr and Squarespace. I’m going to let other bloggers explain to you the differences here – The Pros and Cons of the Four Major Blogging Platforms (Squarespace wasn’t invented when this was written) or here – Choosing a Blogging Platform. Personally, I have used Blogger, WordPress.com and WordPress.org. I liked them all and there are great reasons to use each, but ultimately I have chosen to self-host my blog with WordPress.org. I like the Self-Hosting option because I wanted to monetize my blog (i.e. make money blogging) – WordPress.com doesn’t allow for most forms of monetization. Self-hosting did require me to learn a little coding and also to spend some money. All worth it in my eyes. You may not agree – in that case stick with Blogger (if you want to monetize) or WordPress.com. I researched different hosting companies and am currently using Orange Geek. I followed some on-line tutorials to help me transfer my blog from WordPress.com. If you’re not feeling up to the task or don’t have the time (and don’t mind spending a little more money), you have a few options. Many hosting companies will assist you with a transfer. Or, if you are on Blogger, you can take a course with Minimalist Baker called Move Your Site from Blogger to WordPress. It’s only $19 and is a great way to learn a little bit about more WordPress. I think it is important to spend some time picking a name. Unless you want to go through the process of rebranding, this name will be your identity for the life of your blog. This post by Moz tells you 12 rules for choosing the right domain name. I originally started at as Honey B’s and Birch Trees. Gotta love that mouthful, right? I switched over to Honey and Birch (short and sweet) when I moved to a self-hosted blog on Bluehost. I buy all of my domains from Namecheap. They are cheap, and the process is super easy. Now it’s time to download WordPress. Bluehost will guide you through the process in the “Build a Website” section. Just click on “WordPress” and then follow the instructions. You can totally do it yourself FREE if you don’t want to shell out any additional dollars. The directions are clear and if you aren’t transferring any data over from an old blog, it will be really simple. Once you have that set up, you are ready to go!! I decided to add a premium theme with the Genesis Framework on top of the WordPress blogging platform. I am currently using the Foodie Pro theme which is perfect for food bloggers. You can browse through all of the available StudioPress Themes here. Other themes I have used and liked include the Beautiful Pro Theme and the Modern Blogger Theme.